Don’t let your garage door break down or become a dangerous safety hazard. Regular roller & garage door servicing and maintenance by a reputable provider can prevent 75% of unnecessary repairs, saving you valuable time & significant expense. Why have a regular garage door service? Our expert maintenance team can ensure that your roller and garage doors are working safely and efficiently. A regular garage door service in Perth maximises the life of your product while reducing the risk of accidents and stressful situations. We offer cost-effective, individual service agreements tailored to reflect your requirements. Talk to us to discuss the best options for you. Read more about garage door servicing here! How much does a garage door service in Perth cost? The cost of a garage door service varies. Please contact us for a quote. Guardian Doors service all roller doors, shutters and garage door throughout the Perth what roles an area, both north and south of the river. We also offer a comprehensive range of spare parts, springs, cables, remote controls and more. Assuming that your Perth garaged door is subject to regular use, we recommend you have your garage door serviced every 10 to 12 months, much like you would your car. Does my door need a service? Yes, your garage door – and all garage doors – need servicing. 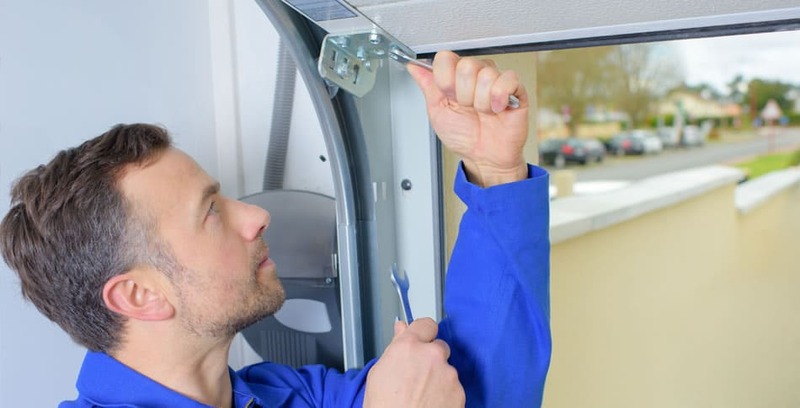 Much like your car, air conditioning and any other appliance you rely on, a garage door needs to be serviced to keep parts running smoothly and get the longest life out of your door. Servicing your door prevents over 80% of all repair costs. A professional service will ensure that your garage door is working safely and securely – so you’re never left vulnerable and unable to keep your valuable possessions safe. What’s included in a garage door service? Guardian Doors service your garage door according to strict checklists completed on site. You are left with a copy, and we keep a copy on our files for any future door queries you may have. Do you charge a call out for garage door services? For services, we don’t charge ‘callout fees’ as such. We simply have a flat rate service charge, so you know what you are paying. Why doesn’t my garage door close? Your garage door may not close if your door hasn’t been serviced in a while; it can also happen if your settings have been interfered with. Guardian Doors garage service can resolve these issues as part of our standard service. Should I grease my wheels and tracks? A little lubrication on your wheels and tracks is fine but used too much lubrication, and you will create a build-up in your garage door tracks. Do you have a loyalty program for garage door servicing? Yes, Guardian Doors offers a generous loyalty discount along with priority attendance for our loyalty program members. Do I have to be home when you service my garage door? If you can’t be home, we can provide options so we can service your door while you are at work. Do you sell the correct lubricant for my garage door? Will you test my remote on a garage door service? We test your remote and your motor when we service your garage door, ensuring your door works perfectly! Why are my garage door springs not straight? When torsion springs loose tension they become ‘snaked’ needing tension to be added. What do you call the metal gear on the motor? The metal gear is usually referred to as a ‘gear drive’. Should I lubricate my garage door springs? Yes, lubricate your door with white lithium grease every 3 months or so. What do you call the white disc at the front of my motor pole? The white disc is a front pulley and provides a point for the chain to return around. What is the red cord that hangs down from my motor? The red cord is the manual release – or as we call it – the ‘trolley’ and enables automatic and manual operation of your garage door. Yes, we stock all trade-specific lubricants at our showroom in Wangara. Can I delete a garage door remote? Yes, call us today and we will talk you through the process. How long do I have to wait for my garage door service? We will attend to your door within 24-48 hours for all our services.